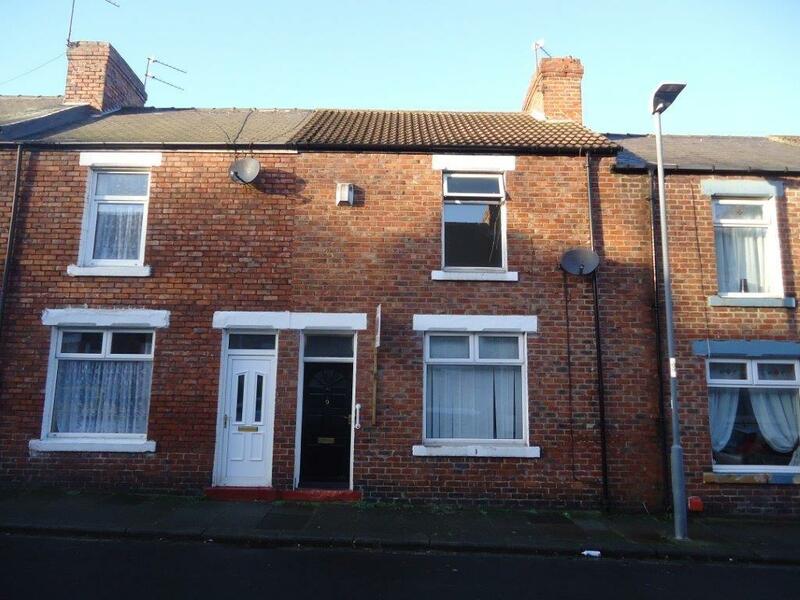 A TWO BEDROOM MID TERRACE HOUSE being ideal for the F.T.B or property investor. The property has the benefit of UPVC DOUBLE GLAZING (apart from the doors) and GAS CENTRAL HEATING and briefly comprises of ENTRANCE, LOUNGE, KITCHEN, TWO BEDROOMS and BATHROOM to the first floor. Externally to the rear of the property there is a yard with brick outhouse. ENTRANCE: Via wood front door and stairs leading to the first floor landing area. LOUNGE: Having UPVC double glazed window. KITCHEN: Having wall and floor unit’s beech effect, stainless steel sink unit, tiled splash back, storage cupboard, wall mounted boiler and wood door leading out to the rear yard. BEDROOM 2: Having UPVC double glazed window. BATHROOM: Comprising W.C, wash hand basin, panelled bath, radiator, tiled splash back and UPVC double glazed window. EXTERNALLY: To the rear of the property there is a yard with brick storage sheds.